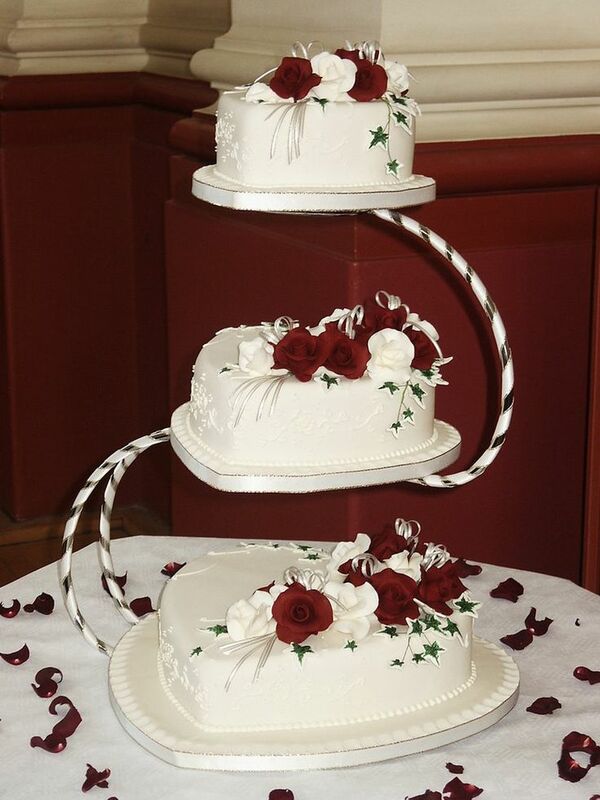 Why not be a little different with your wedding and have a heart shaped wedding cake. 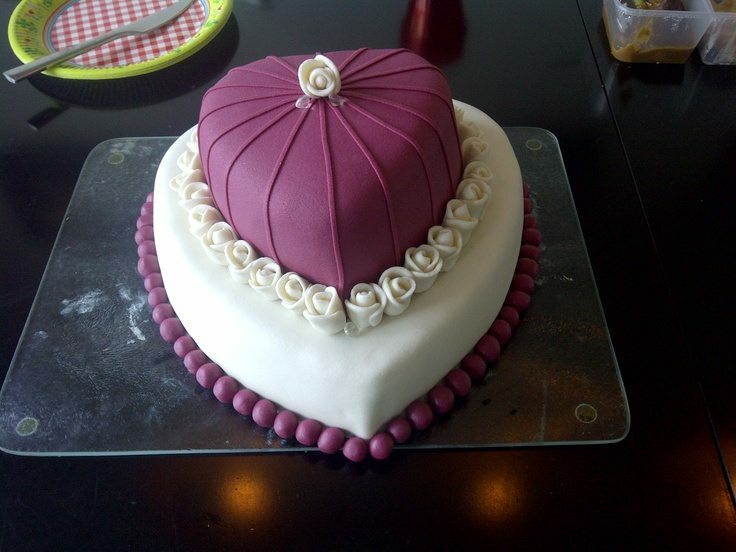 Everybody expects a round, rectangle or square cake shape, so take the chance and make the leap to something more fun. 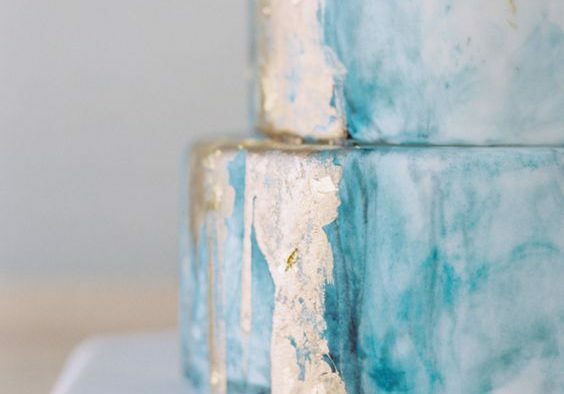 The great news is that there is lots of inspiration and a heart shaped wedding cake also opens the door to some lovely decorating ideas and an opportunity to create a piece of sweet art. 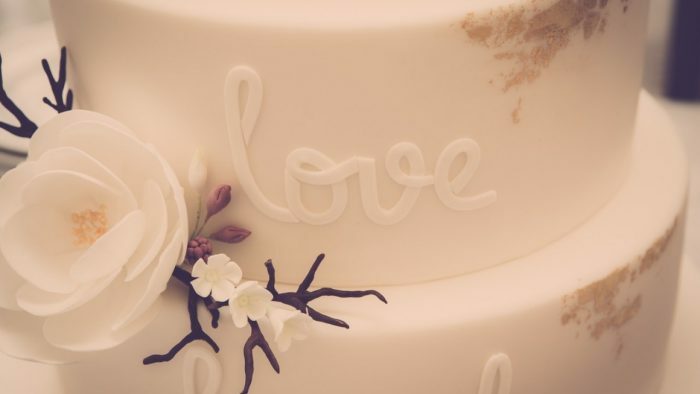 We hope you feel the love with this collection of inspiring heart shaped wedding cakes. Let’s start with something truly unique. 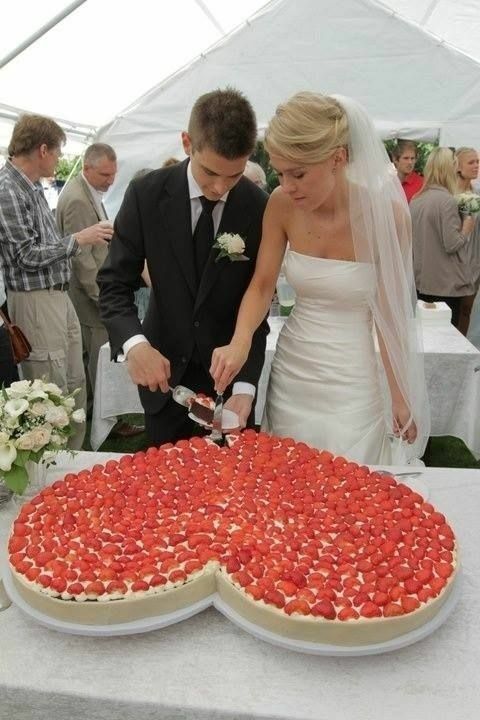 Skip the idea of a tiered wedding cake altogether and opt for a giant heart shaped cake. 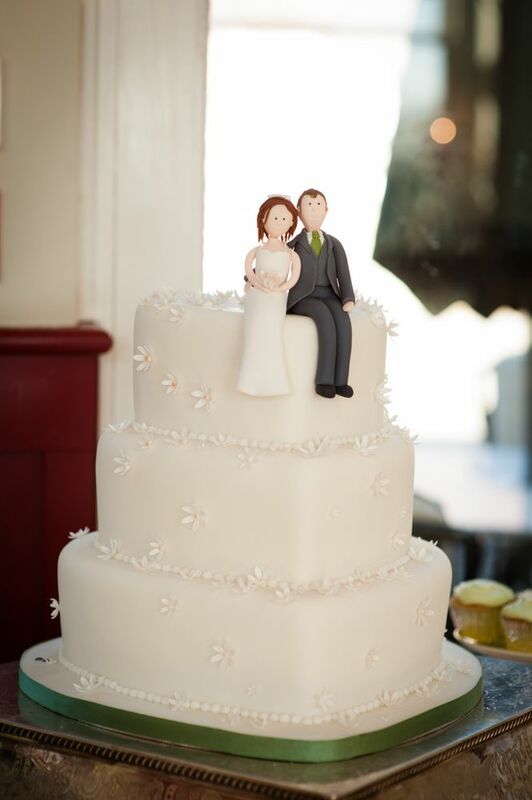 Is it the fun wedding cake topper or the heart shaped cake that we love so much about this wedding cake design. I guess we’ll never know. 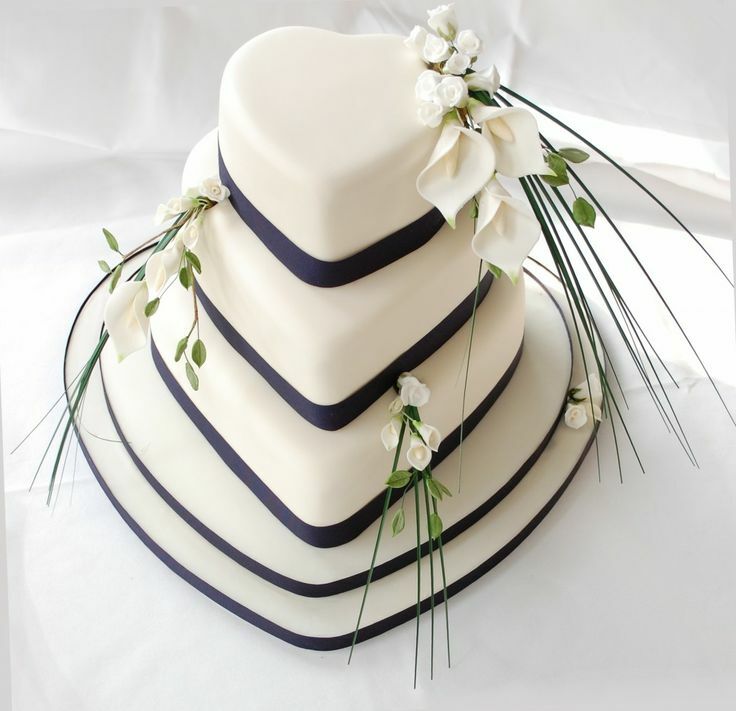 Heart shaped wedding cake with ivory icing and navy grosgrain ribbon, sugar calla lillies and white roses. Gorgeous. 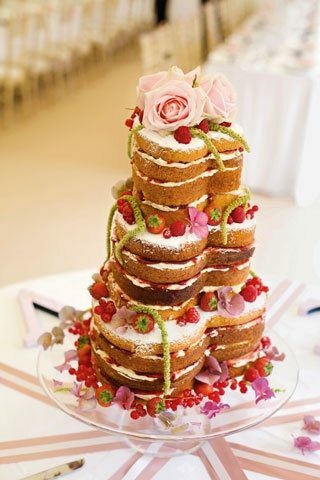 Heart-shaped vanilla sponge cake with flowers and raspberries. 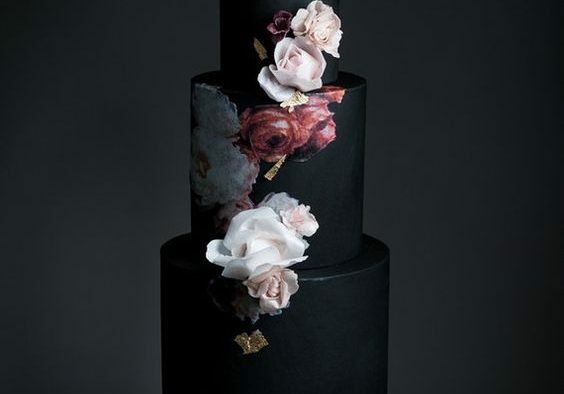 Perfect for a vintage wedding. 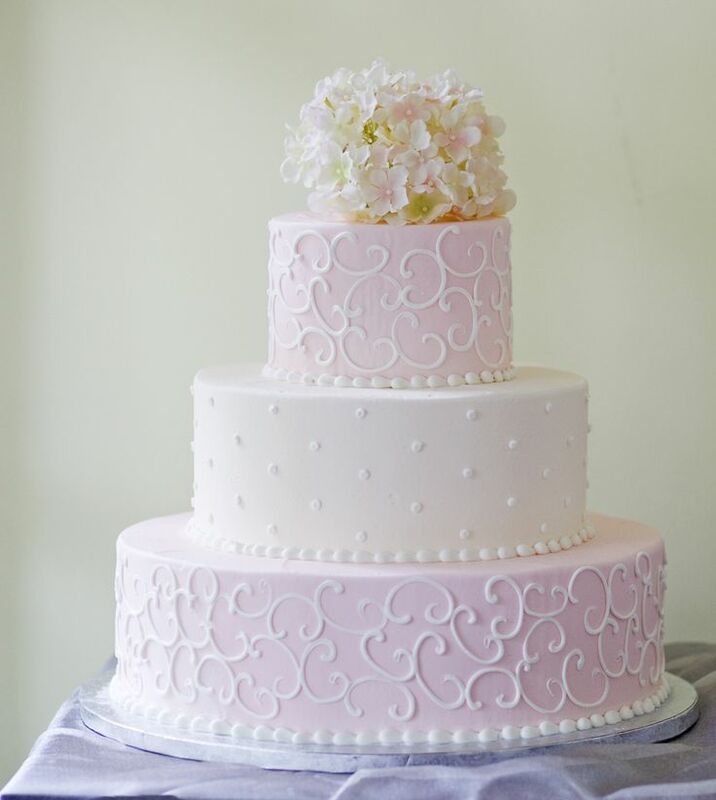 A pink and cream wedding cake with heart-shaped tiers! So pretty. 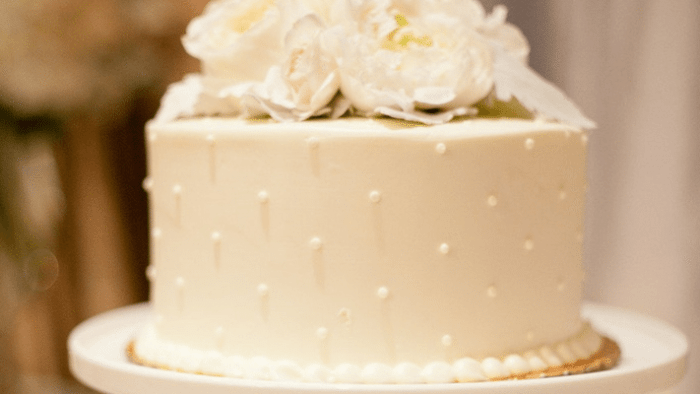 Simple heart wedding cake. Very elegant and bright, we love the color and integration of flowers. 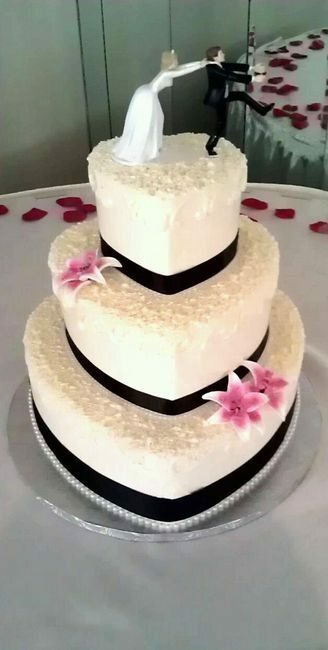 Tiered white heart cake. The white with bright red really makes this cake pop. 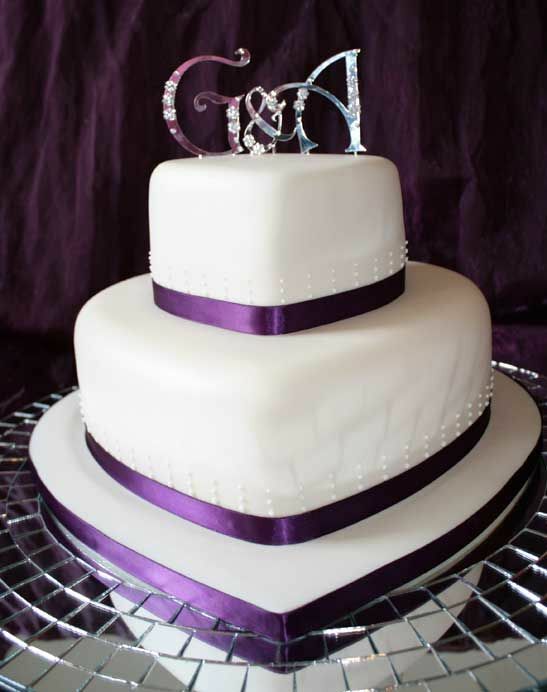 2 Tier Wedding Cake trimmed with ribbon and piped pearl drops, topped with Monogram lettering with crystals. 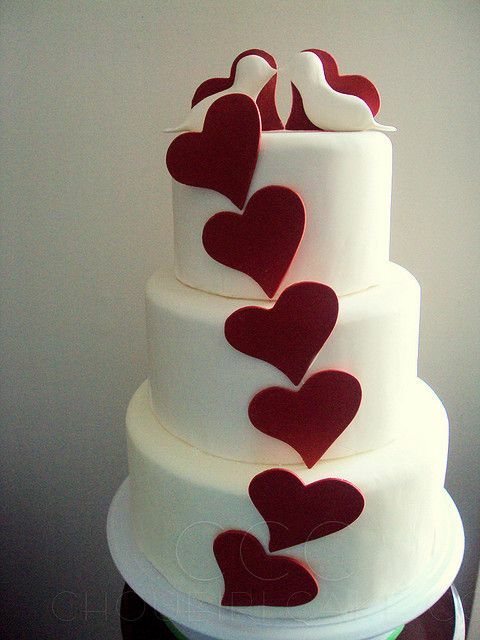 Heart shaped wedding cake with fun topper. 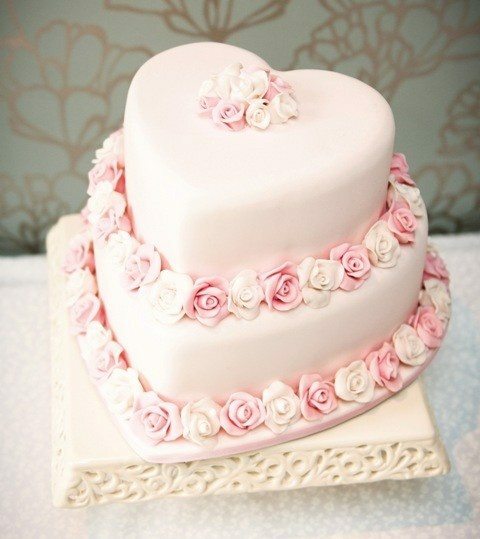 We love how elegant this heart shaped cake is. 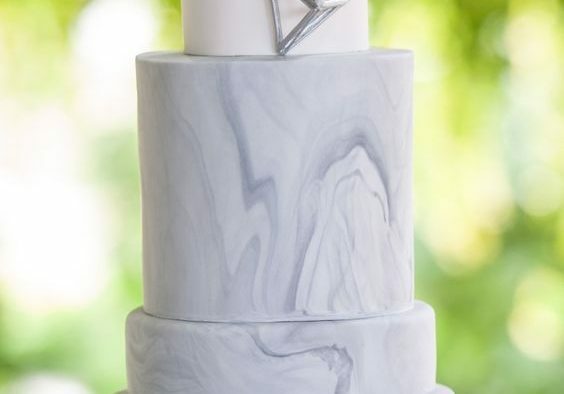 Unique cake for sure, but it feels so regal. 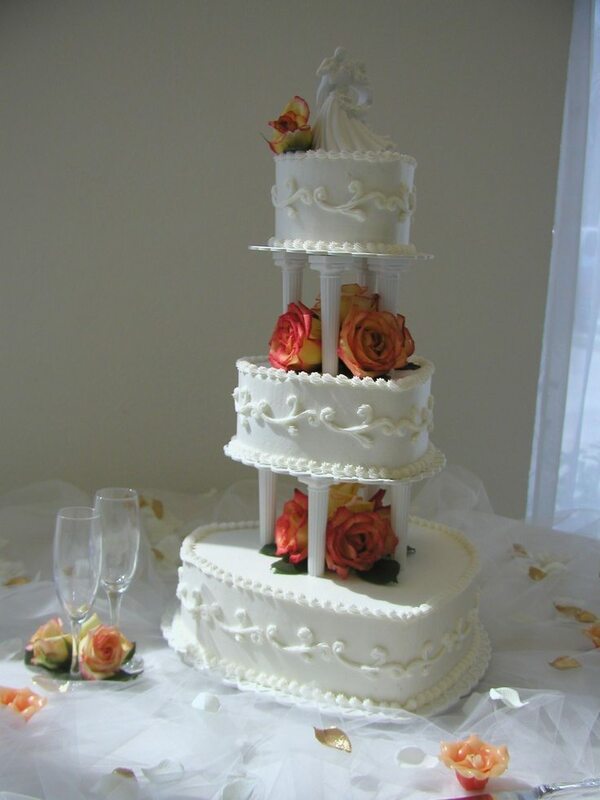 Heart wedding cake, buttercream iced heart shaped cakes, scroll designs, orange and yellow roses. 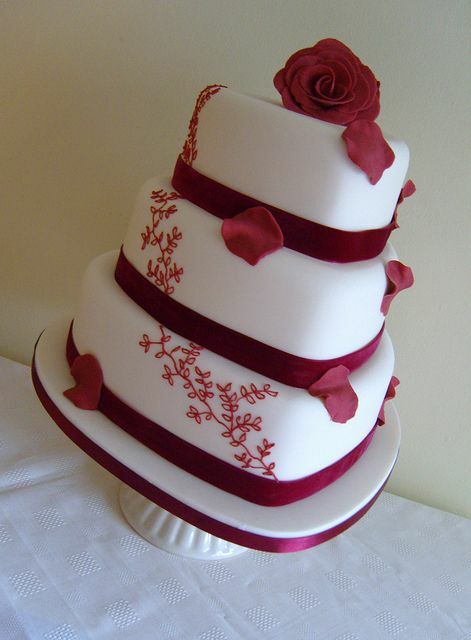 Burgundy, heart shaped wedding cake. 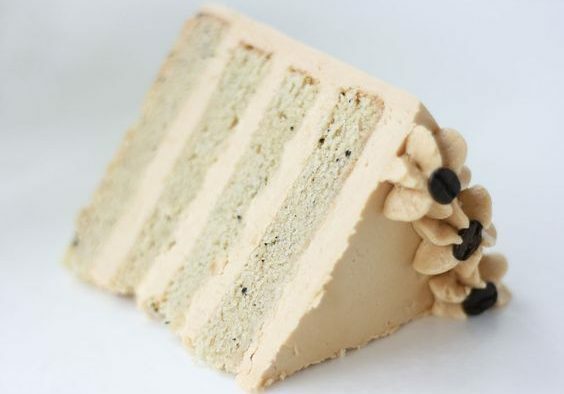 This is the traditional three layers you see on most heart cakes.